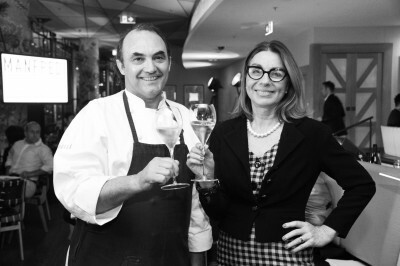 Australia’s Godfather of Italian cuisine, Stefano Manfredi and restaurateur, Julie Manfredi Hughes are adding to the enviable line-up of world class cuisine at The Star Sydney with the opening of their Italianate pizzeria and bar, Pizzaperta Manfredi this November. Pizzaperta is an open-air piazza style pizzeria and bar offering the emerging ‘new wave’ trends of the humble Italian street food, Italian-infused cocktails and a unique wine list. 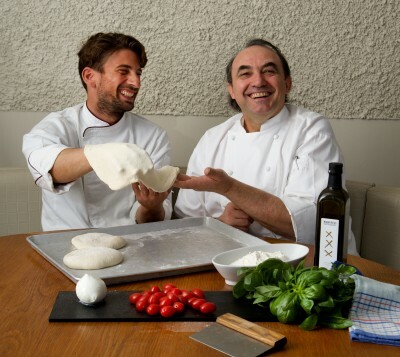 Pizzaperta will follow the craftsmanship of traditional pizza and quality produce that Manfredi champions, using only artisan and unrefined, stoneground Molino Quaglia ‘Petra’ flours, imported from Italy for the very first time to Australia. Manfredi will introduce to Australia a fermentation process that is natural and longer than normal, using a classic biga method, resulting in a more easily digested dough. With pizza in his DNA, Head Chef Gianluca Donzelli will share his home town traditions and expertise acquired at two-Michelin-star Restaurant Don Alfonso near Sorrento. Donzelli placed fourth at the International Pizza Competition in Naples in 2013 and has since been appointed the official ambassador for Neapolitan Pizza in Australia. Together, Donzelli and Manfredi have curated a menu of classics and new wave including margherita, marinara and hot calabrese – using the best local and imported ingredients such as mozzarella fior di latte and bufala, and traditional ‘Nduja. Extra virgin olive oil will be used exclusively for all preparations. Salads, local and imported salumi and desserts will also feature on the menu.